We hope you find the answer you are looking for in our FAQ's below. What units are your Outdoor Kitchen dimensions given in? All dimensions on this Fire Magic website are given in mm unless otherwise specified. What should I include in my outdoor kitchen? First and foremost, before you decide what your outdoor kitchen needs, you need to identify a great cooking space in your outdoor area, so that you are ready to take expert advice about the amount of outdoor kitchen equipment you can realistically fit in that area. When starting your selections, invest as much as you can in the grill, this is your primary cooking point and will take the most use. You can select from a huge range of outdoor kitchen equipment, from Tepinyakis and Primo Ceramic Grills, to sinks, hidden bins and champagne fridges, so your first task is to think realistically about what you wish to achieve with your cooking. Questions to ask yourself before designing an outdoor kitchen include: are you looking to entertain small or large numbers, how close to your indoor kitchen will you be – is that extra sink really necessary, would you prefer to keep drinks and nibbles chilled outdoors, do you need a side burner for frying and side dishes. The possibilities really are endless but expert advice will ensure you can make the most from your outdoor kitchen. How do I construct an outdoor kitchen? Whether you are using a 3rd party, or constructing yourself, we are always asked what an outdoor kitchen should be built of, and our answer is always the same brick, brick, brick. Whether you are looking for a modern rendered finish or authentic stone blockwork, your primary concern is heat transfer, and for this reason the starting point of your outdoor kitchen is a brick construction. Countertops are typically constructed of granite, a great outdoor material giving you a professional finish to your outdoor kitchen and creating a robust worksurface with longevity. Once you know which outdoor kitchen equipment you are selecting, you should have a detailed plan drawn up with your cut out dimensions. Good outdoor kitchen design companies will provide this to you free of charge along with expert advice on how to fit the units. A Fire Magic outdoor kitchen typically starts at £4,000 for equipment, and £8,000 for a build. As the premium outdoor kitchen company in the UK, our equipment includes a life time warranty and a large array of accessories and complementary outdoor kitchen equipment. Where should I place my Outdoor Kitchen? The location of your outdoor kitchen is in part reliant upon the space available, but assuming that you have room to choose your location, your next consideration should be your entertaining needs, and your utilities. It is easier to place an outdoor kitchen along the lines of existing utilities, thus tapping into pre-existing resources. If your outdoor kitchen is some distance from existing utilities this may restrict your usage of eg. mains gas, water or electricity, or increase your outlay whilst you have these resource access points extended. Whether you wish to face and interact with your guests, or have your outdoor kitchen off to the side, will influence your choice of location, along with angle of the sun at your likely cooking times and any natural wind barriers. Each of these choices can be resolved with expert advice. Can I have an outdoor sink without any permanent plumbing changes? Yes you can. At Fire Magic we are able to offer a pump system to provide fresh cold water to your outdoor kitchen sink that is unconnected to your mains plumbing. Can I have a Fire Pit or Fire Place with my outdoor kitchen? Of course. Fire pits and outdoor fire laces are currently in high demand in the UK and make a fantastic addition to your outdoor kitchen. Whether you wish to select a fire pit or fire place for decorative and heating purposes, or one that would provide you with an additional cooking space, with expert advice you can select the fire pit or fire place that is right for your outdoor kitchen. How do I incorporate a Big Green Egg in my outdoor kitchen? As with all other outdoor kitchen equipment, a big green egg can be planned in with sensible design and expert advice. We recommend the brand Primo Ceramic Grills as a fantastic alternative. 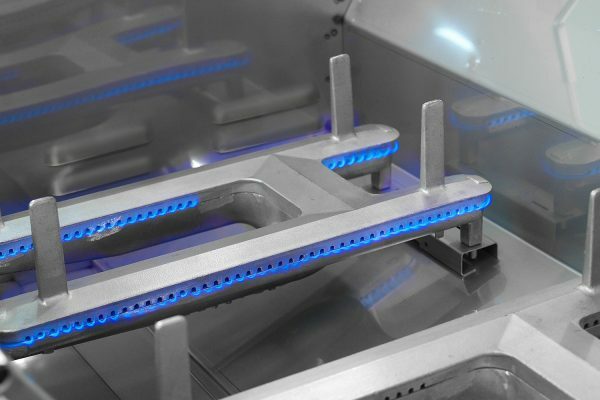 Made in the USA with an industry leading warranty, the unique oval shape of a Primo Grill ensures moisture is retained and different cooking zones achievable within the same grill. Can I have a pizza oven with my outdoor kitchen? Absolutely. Pizza Ovens are a very popular addition to outdoor kitchens, and you can select from table top or stand-alone versions. We recommend a range of wood fired pizza ovens from Alfa Pizza and Ziro Ciro. Alfa Pizza wood fired ovens are a modern and very stylish piece of equipment that will cook your fresh pizza in minutes. Made from stainless steel they are designed to give you high performance with low fuel consumption. Ziro Ciro wood fired pizza ovens have an authentic look and wouldn’t look out of place in a Naples pizzeria. Made from a traditional brick and clay build, they give a truly authentic cooking experience. Does my outdoor kitchen need to be covered? Not at all, one of the greatest pleasures of an outdoor kitchen can be cooking in all elements, and enjoying the sun, wind and perhaps a little rain (this is the UK after all), whilst cooking up a sumptuous feast. However, many people do choose to cover their outdoor kitchen and your options include a pergola, thatched roof, tiled roof, oak framed timber coverage or even a structure such as the Prestige – a full outdoor kitchen and dining area set within a gazebo. An experienced landscape design or outdoor kitchen company will be able to provide you with advice regarding the most suitable solution for your space. 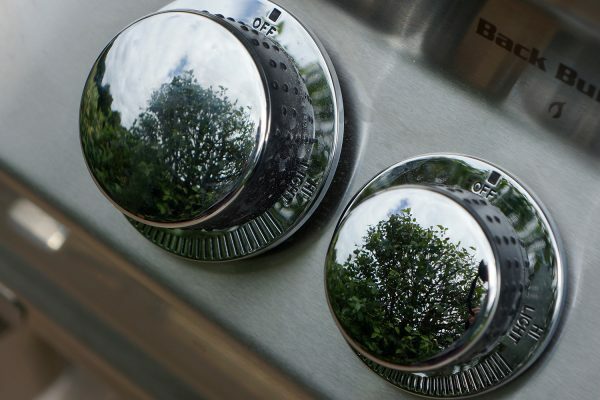 What is the best outdoor kitchen grill on the market? Fire Magic is the premium outdoor kitchen brand in the UK. With lifetime warrantied grills and 304 grade stainless steel BBQs plus appliances and accessories all available with Fire Magic’s precision engineered design, you couldn’t make a better choice for your outdoor kitchen.